So we piled five girls into a car, drove a total of 384 miles, stopping along the way only to use a rest stop and stay at a hotel in the middle of Nowhere, Wyoming, with Smoreos (try them) and popcorn and a nineties child’s dream playlist. 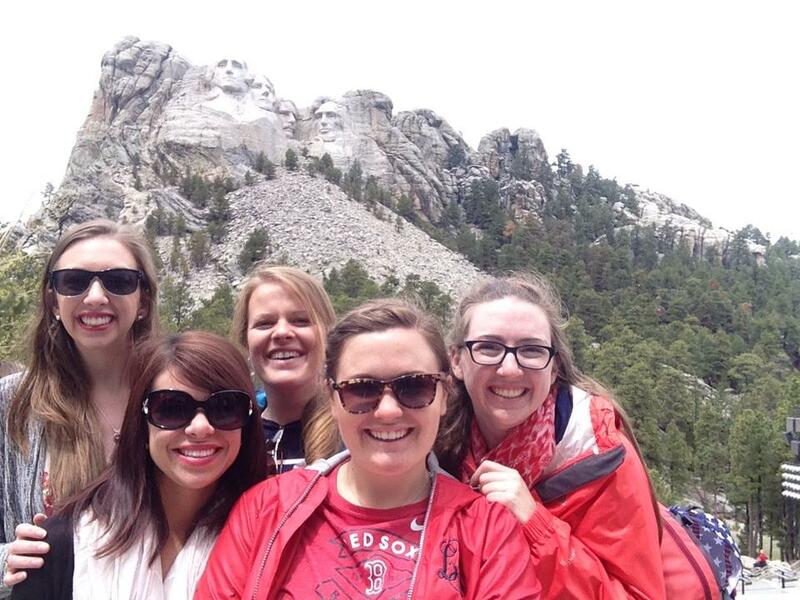 What better way to spend Memorial Day than in one of the most patriotic places in the world? I’m a super nerd when it comes to historical landmarks, and I have a weird “celebrity crush” on George Washington. 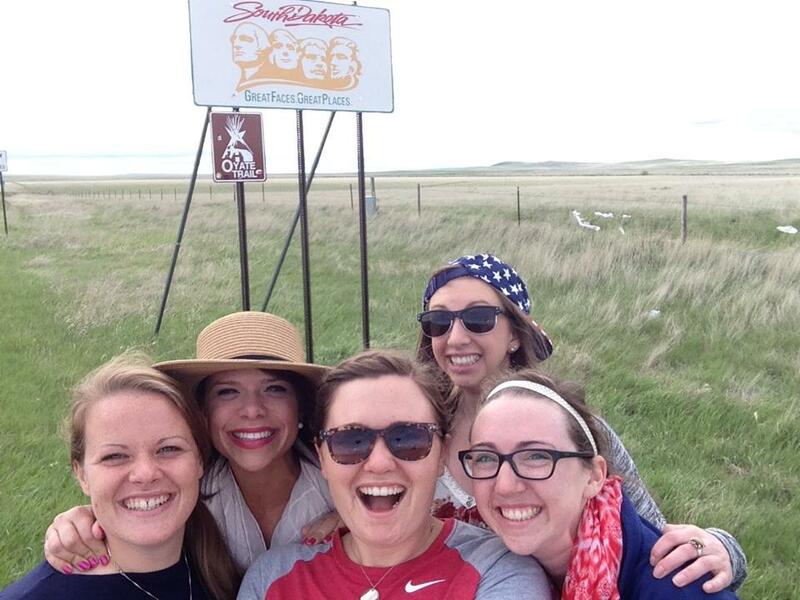 It is a trip that will remain high on my list of memories, and while the “great faces” of South Dakota did not disappoint, the real beauty was in the conversation and laughter that we shared. Rushmore is a monument dedicated to four people who changed the face of history, who fought for freedom of the best kind, and dedicated their lives to causes they believed in. Our lives are the same way: a monument to whatever we believe in. Our faces may never be carved into a mountain, but our stories will live on long after we are gone. When all is said and done, what are you living for? What will you be leaving behind? 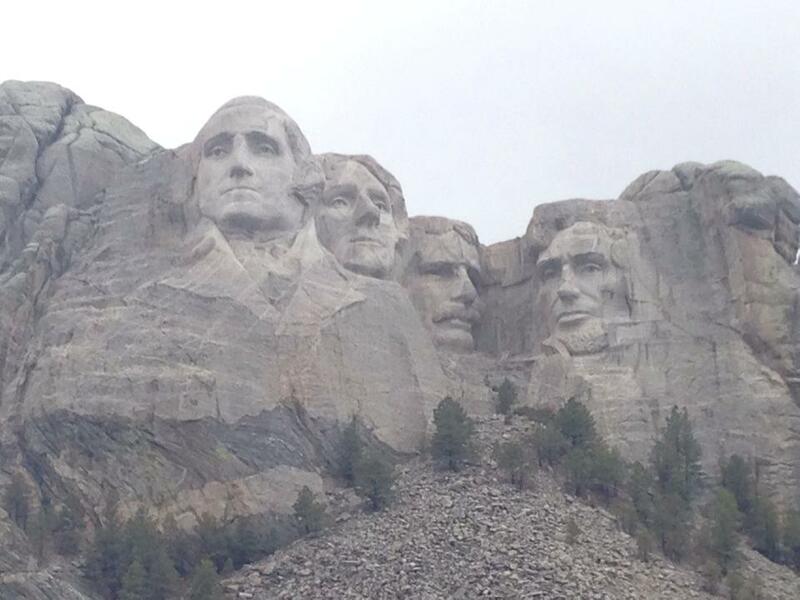 It is pretty cool that those four guys get their faces carved into a mountain, but even that won’t last forever. What would your monument be? To what cause are you dedicating your life? What are you spending your time fighting for? Rush less. Pause more. Take time to think through what you want your life to stand for. Consider what your monument would be built in honor of. And who would you want next to your face on that mountain? Who is a part of your life’s monument? They say you become like the people you spend the most time with, what kind of story are they helping you write? Fill your life with people who will make you more like Christ; spend your time with people who will point you towards Jesus. Surround yourself with friends who encourage you to live a better story. Help them live a monumental life. Remind one another of what really matters. Support them, push them, remind them that their story matters and it is worth telling. Memorialize them when they don’t believe they are worth it. Rush less – be in tune with God and what He has for you. He wants you to live a life that will leave a legacy of love and JOY. Not necessarily one that will get your face on a mountain, but one that will point people towards Him.